I am sure that so long as people continue to live in Shoreham there will always be characters around. Some memorable and maybe a few that are perhaps best forgotten. In the past I have just written the odd story about one or two individuals but I have now been asked to collate them into a story and this is it…….wish me luck! 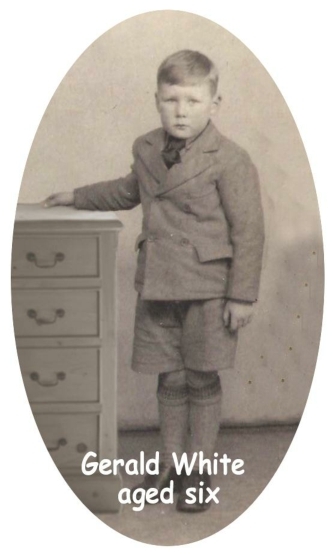 I started my schooldays in 1944 at St Peters Roman Catholic School in West Street at its junction with North road. The teachers included Sisters of Mercy Aloysius Clarke, Sisters Baptist, and Mary Mercy. Other s included Miss Haggerty, Miss Sirrett and Mr Hilton. It was a happy school with strict discipline and some of the children up to the age of 15 years were from ex patriot Irish families. My father and Grandfather had also been educated in the same school. Lessons each morning started with the catechism and the school curriculum related very much to those of any school of a similar size. There was a problem with heating and plumbing for wash and toilet facilities but the important three R’s were taught, and not forgotten. I remember most, Miss Haggerty, who lived in John Street with her mother. Out of school she worked as receptionist for the doctors’ surgery, also in John Street, where the doctors Partridge, Riddle and others saw patients and performed minor surgery. Miss Haggerty owned an Austin Ruby motor car and she sometimes tooted to those she knew. I also recall, that at the junction of Victoria Road with Connaught Avenue a car failed to stop and crashed into Miss Haggerty’s little car. Fortunately she and her elderly mother were not badly hurt but the Austin Ruby was a write off. I think this was in the early 1950s. Regiment during the Great War. Grandma had lived most of her life in Shoreham and was well known, particularly for her knack of reading tea leaves – this was of course before the advent of tea bags. Neighbours often called in to have their tea leaves read. Births, deaths, and courtships were forecast with uncanny accuracy. Ellen was the daughter of William Bareham who had migrated to Shoreham from the Blackwater area of Essex where her father had been an oyster fisherman and skipper of an oyster smack sailing from Shoreham. Her brother Bill Bareham was the skipper of a smart yacht called Rosalind built at Stow’s Yard, a model of which is in Marlipins museum. She was mother of six sons all of whom were serving in the armed forces. They were each in different regiments but I believe that they had been inspired to join up by the loss of a favourite uncle, Leonard White, who as a fusilier was killed in the Great War during 1918. There were a number of memorable characters that I remember living in West Street. Mr Marsh was a middle-aged chap who had a garden at the railway station, it is now a car park. Mr Marsh could balance a number of seed trays on his head and mounting his bike would cycle to his allotment with half a dozen trays teetering on his head. As boys we would shout at him in the hope of disturbing his concentration to unbalance the trays but they always stayed put. Sidney Saunders was nicknamed ‘ crutchy’ Saunders – he had lost a leg and was a shoe repairer working from his home. Crutchy had a pet white duck which followed him everywhere. He always had a pint of beer at lunchtime in the Bridge Hotel every day. The High Street traffic would stop as Crutchy swung across on his crutches with his pet duck waddling behind him and on into the pub where the duck lapped bitter from an ashtray. On a visit to the King Alfred swimming pool I once saw Crutchy climb the ladder to the high diving board, hop out to the edge and dive into the pool. Despite his handicap Sid Saunders was a good swimmer. 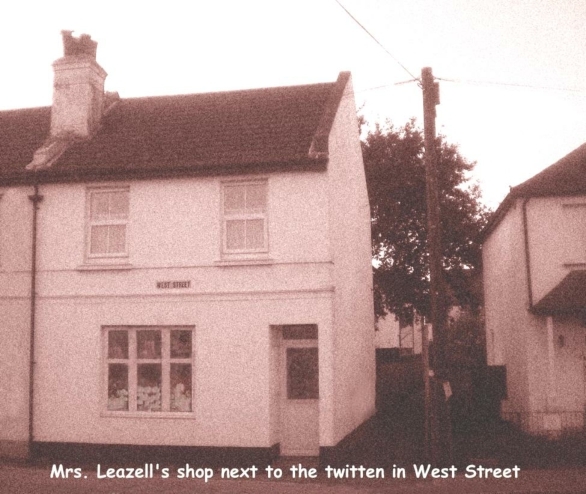 The shop on the twitten between West Street and Victoria Road was owned by Mrs. Leazell who had a love of all animals, wild, and domestic. The shop was poorly stocked but this was due to the fact that many goods were not available for sale. However, the window display included several boxes of Blue Cross matches and a row of lemonade bottles filled with coloured water. Bread, penny buns and cakes were in large wooden trays as delivered by the baker but the whole effect was spoiled by the constant presence of several cats that lounged anywhere. In her garden, Mrs. Leazel had a large aviary for injured birds. If anyone took an injured bird into the shop they would be rewarded with a penny bun or cake. No one was surprised when the shop became a vets. Opposite the twitten there was a stable where Mr Patching stabled his horse Dobbin. On Saturday mornings, I was paid sixpence to sweep the stable, and paint Dobbins hoofs with oil. I also waxed the leather reins and tack and polished the brass buckles. The stable doors opened onto West Street and the area behind the horse was where the delivery cart was kept – I remember it smelled of paraffin. The hardware stock was kept was at the High Street end of the Street. For many years Mr Patching presented an annual trophy for a mile race which started in Mill Lane and finished on the Upper Shoreham road. This trophy was competed for until the late 1950s. If I remember correctly a classmate, Terry Wells, won the race once. Terry used to run everywhere but following National Service in the Royal Sussex Regiment he emigrated to Canada. The children of the Old Shoreham Road and Freehold Street area considered themselves lucky because Tom Smith owned a fair which had its winter quarters near there, opposite the Swiss Gardens. I can remember the huge haulage vehicles and a mammoth power generator. One of the rides was a wonderful carousel with galloping horses and an organ which played catchy tunes of the day. Another was a chairoplane which whirled the riders out in a seat suspended from chains. The fairground children, Harry James among them attended local schools. Harry was one of the last persons to live in a caravan on the site. I can remember when old Mrs. Smith died her body was laid out in a coffin on the site. Showmen and women from far and wide, paid their respects and there was a queue of expensive vehicles – Rolls Royces, Bentleys and the like – all stretching up the Old Shoreham Road and along the Upper Shoreham Road right back to the park. This was in the early 1950’s and amazed the people of Shoreham with the numbers of mourners there were. Ruby Smith ran a children’s ride on Lancing Beach right up to the 1980’s. She once showed me a framed certificate that Tom Smith had been presented with, it was from the treasurer of the wartime National Spitfire Fund recording Tom’s efforts in raising money to buy a Spitfire. Mrs. Smith had lived in a beautifully decorated caravan which remained empty on her death and the rumour was that in common with tradition it was going to be burned. However, it was so expensively made I thought that surely no one would set fire to it. 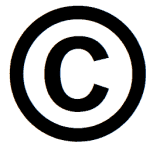 One day it disappeared – I never asked about it, hopefully it still exists and now belongs to another family of showmen. Often on my travels I have seen carousels and chairoplanes just like those owned by Tom Smith and even today they seem as popular as ever with people who enjoy a visit to the fair. Anyone who knew of Charlie Miller with his ground on the Steyning Road full of old carts, boilers, mangles, and a few broken down motor cars would also have known he was the Steptoe of Shoreham. He sold bean sticks and poles – anyone needing a set of pram wheels for a barrow knew where to go. He lived on the Old Shoreham road in a terrace house adjacent to Worleys nurseries. The garden was a rambling but interesting junk yard with elders growing through old tin baths. If you needed a replacement part for an old gas fire boiler then Charlie Miller was likely to help. A wooden shed of his was full of old second hand cycle parts. Nothing it seemed was ever thrown away. At the Red Lion public house Bob Firthkettle was mine host. He knew many of the employees of the Ricardo Engineering works and had a fund of wartime stories of events at the airport and tales about the Free French airmen stationed there who used his popular pub following flying duties. The small cottages in The Street adjacent to Adur Lodge had no services, only a water stand pipe in the garden. In one of them was an unfortunate man who had been in the RAF as an aircrewman but whatever had happened to him had affected his mind. He was very tall, well dressed and always clutched a book behind his back as he walked endlessly around Shoreham talking aloud as he went. As children we called him the mad professor but looking back now as an adult it was most rude and unfair of us. I can envisage him now with his bushy grey beard muttering to himself. Sadly I never knewhis name. One of the shops on Victoria Terrace was called ‘Jacks Bargain Stores.’ Jack was a larger than life looking man with a disreputable appearance. He was overweight and always wore the same huge green pullover with a large hole in the front and a number of food stains. His assistant was a slim, small lady with very ginger waist-length hair. 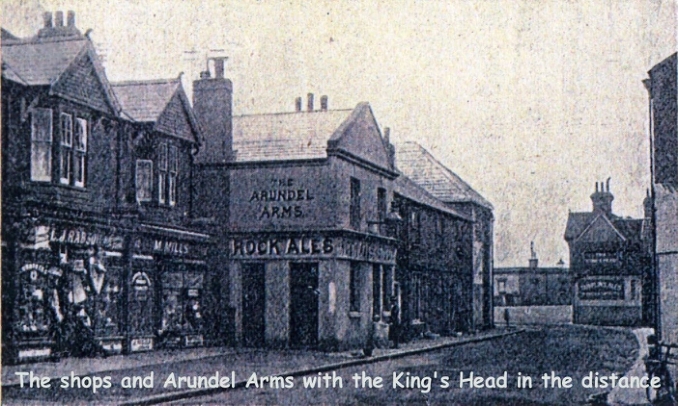 When not in his shop he could be found in either the Arundel Arms run by Sid Page, or the Kings Head public houses. The interior of the shop was a riot of old books, furniture, hat-stands, tin baths, wooden boxes, reels of old film, boxes of cigarette cards, jam jars full of marbles and picture frames. Many of the boxes were full of old cutlery long past its useful life and perhaps the odd carving fork and rusted sharpening tool. Outside the Marlipins Museum Mr.Clements had a flat topped hand cart from which he sold freshly caught fish, crabs, prawns, shrimps, and whelks. 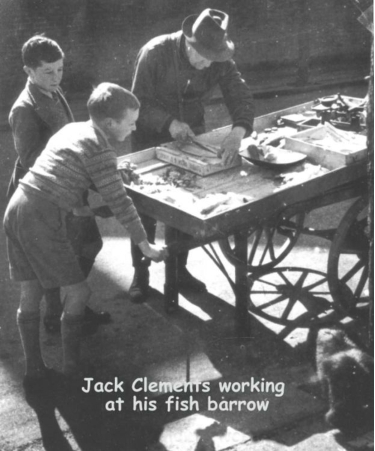 Winkles were sold by the pint and the type of fish for sale depended on what had been caught that day, I recall that Mr Clements had been selling his fish from his barrow for many years and was part of the High Street scene. There were weighing scales on the barrow and when sold, the fish would be wrapped in clean wrapping paper and folded in newspaper. I always called him Mister Clements but older folk called him Jack. The Whiterod brothers, Bill and Tom, lived in Corbyn Crescent. Bill was a timber porter at Whites & Co timber merchants. Tom had a newspaper barrow which had a canvas cover like a small prairie schooner seen in old western movies. He kept his barrow outside the Buckingham Arms against the wall of Eade’s Stores, now an opticians. Tom sold and delivered the Argus daily and late night final newspapers. He was a very introvert man and could often be seen as late as 9pm delivering newspapers in Western Road. People were very trusting then and when away from his barrow on a delivery Tom left a small tin, in which to place monies for the newspapers on sale. I believe Bill and Tom were bachelors and Bill devoted his life to caring and providing a home for Tom, his autistic brother. Shoreham had a wide selection of butchers – Evans and Upton next to the Swiss Gardens on Commercial Terrace; Ted Harmsworth at the West End of the High Street; Dewhursts adjacent to Woolworths; Harold Snelling opposite the footbridge and Jack Shepherd who had a shop in East Street. There were others but the passage of time has eroded their names from my memory. One chap, a butcher, had a wonderfully tiled shop in New Road and I remember rabbits hanging alongside pheasant and pigeons. all in row outside the shop. This was in the days of pounds, shillings and pence and the prices were very often fixed on a pin stuck into the meat on offer – 2/6p or 5/- meaning two shillings and sixpence or five shillings. When decimal currency was introduced Paul Plumb the outfitter refused to alter the prices in his outfitters, and was told that unless he changed to decimal prices the Customs would take him to court. Nevertheless, Paul kept his £ s d prices long after everyone else. He was very well known in Shoreham for his fondness of traditional country dancing and founded the ‘Chanctonbury Morris Men.’ On retirement he went to live on a small plantation hill farm in North Wales but after several years away he eventually returned to his roots in Shoreham. A popular pastime, and social activity, old time dancing, was held on Saturday nights in St Mary’s church hall, the ladies attired in layered crinoline dresses and the gentlemen wore evening suits with white gloves. These dances were very well supported and the ladies, carrying dance shoes, would accompany their partners as they walked through the town to St Mary’s hall where the floor was powdered with talc and sometimes grated candle wax. Music was almost always provided from a record player but occasionally a small dance band was engaged. Mr Dudley Richards, husband of Robin, had a small band and he played drums when not working as a salesman for Chad Valley toys in Hove. I should have said that Robin Richards was an independent councillor serving as chairperson. Some bungalows on Middle road are named Richards bungalows after her. One of the popular institutions in the town is the Royal British Legion, the Shoreham branch being one of the oldest in the country. The first club was in Connaught Avenue which later became the grammar school gymnasium then the branch moved to the Haig hut on the Ropetackle. Following closure in the 1960s it continued holding its meetings in rooms of public houses. Late in the 1970s Lionel Martin, a Shoreham man who ran Streamline taxis got together with some ex service business men and purchased a dwelling house in Buckingham Road where the club is today. Freddy Ansell, Morton Mitchell, an ex Medical Corpsman and resident of John Street, together with George Osborn and George Care formed the Branch Committee under the Presidency of Lionel Martin. The dedication ceremony was led by Mr.Buckwell who had carried the branch standard for over forty years since its formation in 1921. There has been a lifeboat in Shoreham since Victorian times and the crew are known for their bravery. The family names of Page and Upton are prominent amongst them and crew members come from all walks of life. 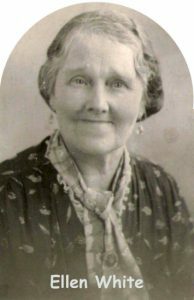 One non-member who lived on the Old Fort Road and president of the Ladies Guild for the Shoreham Lifeboat, was Lady Hermione Colwyn who shared her house with her pet dog and although she owned a vintage Rolls Royce and a Bentley car she drove normally a modest Morris1000. Sometimes she let her vintage cars for use by a filming company which raised a little capital to pay for the running of the Morris. On her death this wonderful old lady left her house and legacy to the RNLI and as a result the new Shoreham boat was named after her – the ‘ Hermione Lady Colwyn’. No story of the people who lived in Shoreham in the 1950s would be complete without a mention one person that everyone knew then, he was Archie Thomas, a resident of Connaught Avenue and the keeper at Buckingham Park. In addition to caring for the town flower beds he also looked after the park with its football pitches, cricket pitch, childrens’ swings ,wonderful beech trees and two very old chestnut trees. Archie was a keen sportsman and gifted musician who played in a dance band. I was lucky to have Archie as a neighbour and knew both his wife and Anita his daughter. In those days of austerity Buckingham Park was admired by all. The first world war caused a great number of men to suffer all manner of nervous conditions and many lost lower limbs in the trench warfare. As a result there was a need to find gainful employment for limbless ex servicemen and it was rather ironic that one of the resettlement trades taught was that of boot and shoe repairer. There were several men in Shoreham who repaired footwear and had been trained to do so on the scheme. Mr Payne of Aston Cottages raised a family, and repaired shoes at his home, another was Sid ’Crutchy’ Saunders from his home in West Street. Mr Bishop, who walked with a very bad limp, repaired shoes in a small lockup shop at the western end of the High Street. A Mr Still who had a shop at the junction of Brunswick Road and Tarmount Lane worked on the premises but I can’t remember if he was an amputee. Some Shoreham men because of their jobs, were well known to a succession of schoolchildren in town. One was Granville Eaton, a gifted musician and Youth Employment Officer at the office in East Street. Granville lived on the beach and during the war, had been a pilot in the RAF flying the famous ‘Wooden Wonder’ the De Havilland Mosquito. He had steered many young people onto a successful career in different fields of industry. I often saw him at his bungalow home where he played piano and directed a choir for practice. Another gentleman known to many boys in Shoreham was Mr Wills, another ex RAF man who was school secretary at Shoreham Grammar School when Mr Bruder was the long serving headmaster. Mr Wills was at one time an ATC Officer in 1440 Sqdn when the meetings were held at the dome on Shoreham Airport. I remember that Mr Wills although a giant of height and build, was an extremely quiet man. Fred Parsons who lived in Ship Street was the founder of the Shoreham Athletic Club. The early meetings were held in the Haig hut, when for sixpence a week, the youngsters were given lessons in PE and formed human tableaux. Their uniform was a yellow T shirt, white shorts and plimsoles. The club members, all schoolboys, were trained by Fred and Mrs Parsons and gave public demonstrations of P.E. at garden fetes and fairs. The club became affiliated to the National Association of Boys Clubs and had its meetings in West Street. Around 1956 Frankie Vaughan, a well known popular singer of the time and president of the National Association of Boys Clubs, once visited the club. I also recall travelling to the Dripping Pan at Lewes with the club to give a demo at a fete which was opened by Frankie Howard the famous comedian. In Middle Street opposite the cottages above the car park in a flint built outhouse with large double doors the sound of hammering on an anvil was often heard created by Mr. Burtenshaw the blacksmith. This was the early 1950’s when mechanised transport had already taken the place of horse-drawn vehicles. Shoeing business was few and far between so Mr Burtenshaw had to turn his hand to other forms of metal working, He would make most items of ironwork for gates, hinges, brackets and all manner of metallic implements that couldn’t be bought off the shelf. From the dark interior of the forge sparks flew and hammering could be seen and heard,from quite a long way off. Occasionally, a crowd would gather around whilst Mr B explained what he was doing. 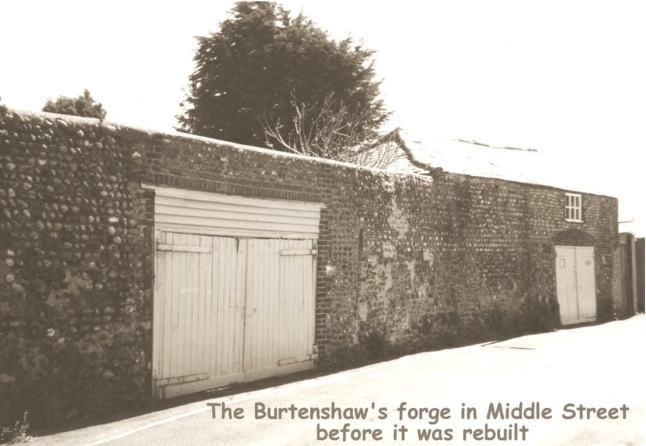 The Burtenshaws provided Shoreham with several generations of blacksmiths and also provided a service to the boat building community. One well known Shoreham man was ‘Buller’ Parsons, who rode as driver of the Council’s horse and cart. Buller, a huge man, always stood up when driving the cart presenting a very imposing figure and when collecting the bins he would carry two bins, one on each shoulder. This was long before the days of wheelie bins and recycling at a time when all the council waste was taken to the tip where the Adur recreation ground is now. Large mountains of waste were burned there 365 days a year. A huge bonfire was always built for the celebration of Guy Fawkes night when the Shoreham Bonfire Society came into its own. My father always talked about old Joe the night-soil man who emptied the toilets for Bungalow Town into a metal tank on his horse drawn cart. Joe kept his sandwiches in an Oxo tin, wrapped in his jacket which in fine weather he placed on the seat of his horse and cart. One day the wind blew his jacket and sandwich box into the tank but undeterred he retrieved his sandwich box and after washing his hands in the Adur scoffed the food with much relish – the oxo tin was completely water tight and his sandwiches were untarnished. I was a regular visitor to Shoreham Airport, especially if a new aircraft type had arrived or a well known aviation personality was visiting. It was at the airport terminal building, that I first met Toon Ghoose. He left Calcutta in 1955, and rode to France on a Vespa Scooter. In France he learned to glide and set up an Indian gliding record by flying up to 25,000 ft He later learned to fly powered aircraft and came to England where he took a commercial pilots licence. In 1968 Toon became the Chief Flying Instructor for Cecil Pashley at the Southern Aero Club. During the 1970s he set up his own business ‘Toon Ghoose Aviation’ but the credit squeeze, in the 1980s caused many businesses to go into voluntary liquidation and sadly Toon’s company became one of them..
At least once a week the Rag and Bone man would shout his presence in the street, this was before the days of noisy traffic when only a few hand and horse drawn carts were seen on Shoreham’s streets. There were two regular men, firstly Tom Bainbridge who would stand at North road and shout ‘Raaaaaaagg Boooooooonnee’, His practiced voice carried the full length of the street. Householders would take him a few old rags, and bundles of papers in exchange for a few pennies. The other man, a very scruffy individual dealing mainly in scrap metal, was named Smith, or Smithy. He was alcoholic and drank his wages in the Swiss public bar. A comment about Smithy was that you could grow potatoes in the dirt of his fingernails. However untidy he was, Mr Smith could nevertheless take away the dated oven or rusted fire grate and served a useful purpose in the community. Smithy had a type of railway porter’s barrow which he pushed weekly from one end of town to the other. Domestic milk supplies as I first remember were from a churn which the milkman had on a barrow and the milk was dispensed from a half pint skillet. Householders kept a clean milk jug ready early each morning to receive a milk delivery. In warm weather, milk often went sour so many folk kept their milk in a jug immersed in a bucket filled with cold water. The milk delivery man had a small hand bell to summon customers. Two or even three different milk suppliers brought milk to West Street. 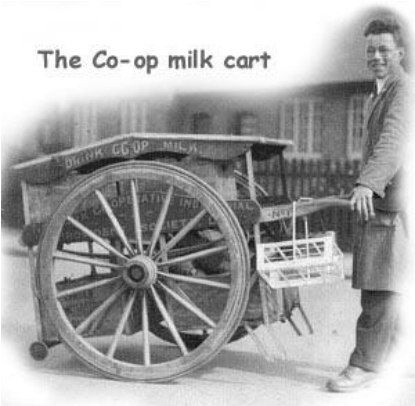 Mr Ansell, had a dairy off Little High Street then there was Battens’ dairy man and the Co-op as well. In those days only the very wealthy had refrigerators and because the availability of milk was important many families had a cold or stone slab upon which to store their milk. It was also useful to have a lace beaded doily to put over the jug to keep out unwanted flies and other beasties. I don’t remember many shops that delivered bread apart from Spurriers who had a delivery bread man who pushed a large wooden barrow with a transfer showing the Hovis Bread logo and two sheaves of bread on it. The bread was kept inside a large cupboard on the barrow with double doors. Householders sometimes made a street purchase on the spot from him but most of the deliveries were ordered prior to delivery. Reckoning up was usually on a Saturday. Pounds, shillings and pence and tons, hundredweights and quarters avoirdupois measures were still in use then, long before the introduction of decimal weights and currency. People commonly referred to a pound as a quid; a guinea was twenty-one shillings, twelve pence made one shilling or a bob; a crown was a five shilling coin and half a crown was two shillings and sixpence. A florin was a two shilling coin, parts of a shilling were a sixpence; three pence or a silver threepence was called a silver joey then there was a penny, half penny and the lowest value coin a farthing, four farthings made one penny and 240 pennies made one pound. The pound was subdivided into twenty shillings – no wonder schoolchildren had difficulties at arithmetic. George Cole who was war blinded showed me how a blind person could recognise the value of a coin simply by feel and how to positively identify a ten bob note or a quid. He measured them against his hand and the feel of the paper. Robert Tanner who lived in the town was called one and six, or bob – tanner……. confused? I cannot wrap up without saying something of a couple of characters who moved to the town in later life drawn by the attraction of living in a town with a village atmosphere. There was Roger Simon, a Frenchman who was married to Barbara. Roger came to England as a young aviator at the outbreak of war when his country was occupied by the Germans. He joined the RAF and after training to fly fighter aircraft transferred to the Free French Air Force in exile. He served with a number of squadrons and qualified on flying the Spitfire. In 1943, Roger received a newspaper cutting from a French Vichy sponsored newspaper which, unbelievably, accused him of being a traitor and was sentenced to death in his absence. The end of war saw Roger living in Shoreham having served with 345 squadron. Many years after the war and the death of De Gaulle the entente cordiale became a reality and in 1995 Roger and a number of his pilot colleagues, were taken from London, by RAF motorcyclist to RAF Northolt then flown to Paris where he was welcomed by the French Prime Minister. Roger and his colleagues were formally absolved of the trumped up traitor charge and presented with the Crois de Guerre and Resistance medals. Roger and his wife subsequently returned to Shoreham to live and when he finally passed on his ashes were scattered on Shoreham Airport as a lone Spitfire carried out a final flypast salute. The other chap was also a wartime airman, Alan Mills, originally a Londoner, and educated at Dulwich College. Alan, like many of his generation, was called up and joined the RAF to train as a navigator. One winter’s evening in 1940 at RAF Lyneham Alan and his crew of a Wellington bomber was detailed to carry out a ‘nickel raid’ which involved flying over Germany and dropping leaflets. They flew into worsening weather and visibility became so bad that they lost their way – eventually the Wellington ran out of petrol and the skipper gave the order to abandon the aircraft. Alan and his crew leaped to safety, and parachuted to earth. On hiding their chutes the crew could see lights in a nearby farmhouse….they had bailed out over occupied France, the farmer called the gendarmes, and the hapless crew were taken prisoner. Later whilst being held in an old Napoleonic prison, Alan and a number of others escaped through a tunnel. Following a year on the run in occupied France disguised as a film actor Alan eventually escaped to Spain, then to Gibraltar and back to RAF Lyneham where his original journey had begun spending the rest of the war lecturing trainee aircrews on escape and evasion. Alan’s story was later told when he appeared as a guest on the TV programme ‘This is your Life’ which detailed the exploits of Albert Guerese who organised the wartime Pat O’Leary escape line. There was a butchers also in Brunswick Road called Malpas where we shopped for meat in the late 40’s. This is fascinating. Although I was born in 1955, some of the names I do remember. I only wish my late father was still alive because he could’ve recollected the names and would most definitely have enjoyed reading this article. Thank you for sharing it. Any relation to the Patching ironmongers on the corner of West Street Diane? As a comparative newcomer to Shoreham (30 odd) I found this article so interesting. Lovely to hear your stories Linda – not sure which cinema you mean but we have photos of the New Norfolk Cinema and the Coliseum, the former is image MN4 on the Michael Norman collection. Two phtos of Surrey street too, look at By45 in the Bygones collection. Patchings shop is photo number dks29b in the Doris Steers Collection – you can see your house behind it. Incidentally, something of a coincidence but I’ve got an allotment at the Meads although nowadays I can’t manage to swing from that tree any more! Thanks for sharing your memories. Gerald White I so enjoyed reading your memories. I was born in 1951 and lived in West Street for the first eight years of my life. My great grandfather was John English of the old sailmakers family. They lived at 15 West Street until their deaths and my grandmother Doris Green lived there her whole life. I lived at no15 for five years and then no41 for three years. I recognised most of the people in your article. I can still smell Ede Leazell’s corner shop. I remember the packets of Tide and bottles of Tizer.